The baby’s arrived… Zoe’s nursery showcase… | Hey Bernice! My nursery post has been delayed because I was waiting on a few items purchased from eBay and another of my favourite sites, only then was I prepared to call it ‘finished’. 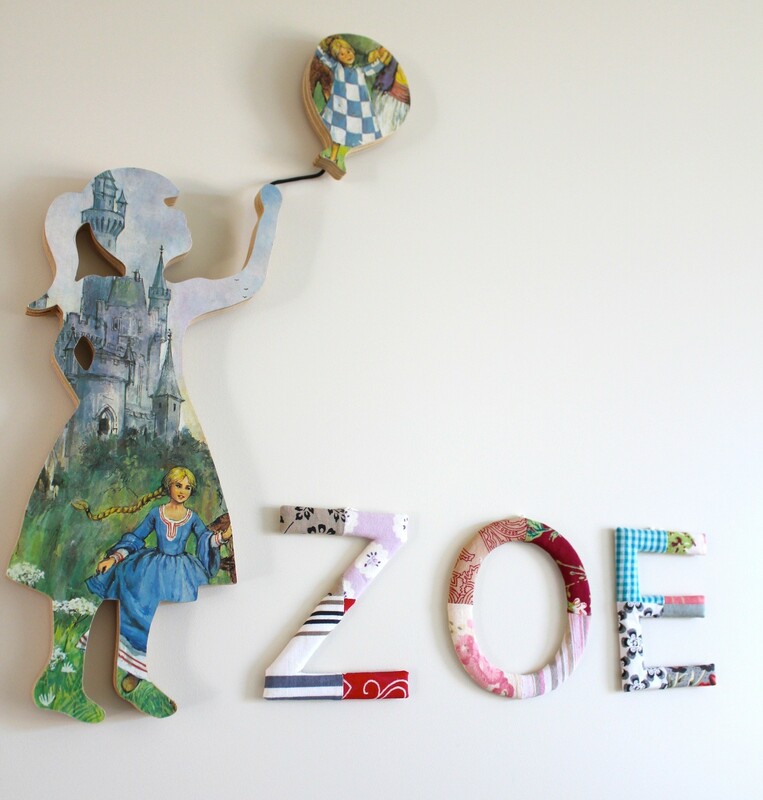 The stunning little girl and balloon is hand crafted by One Sunday Morning made using Reclaimed plywood and vintage storybook pages. That said, I purchased it from my favourite art shop in Geelong Ballyhoo Art. 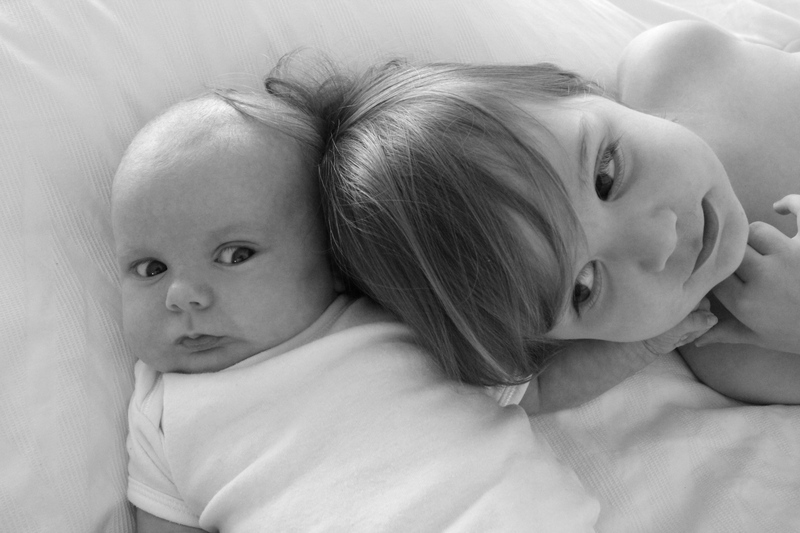 I fell in love with two of these (a boy and girl facing each other) on the wall in a friend’s daughters room, I just had to have one (for Zoe, of course!). 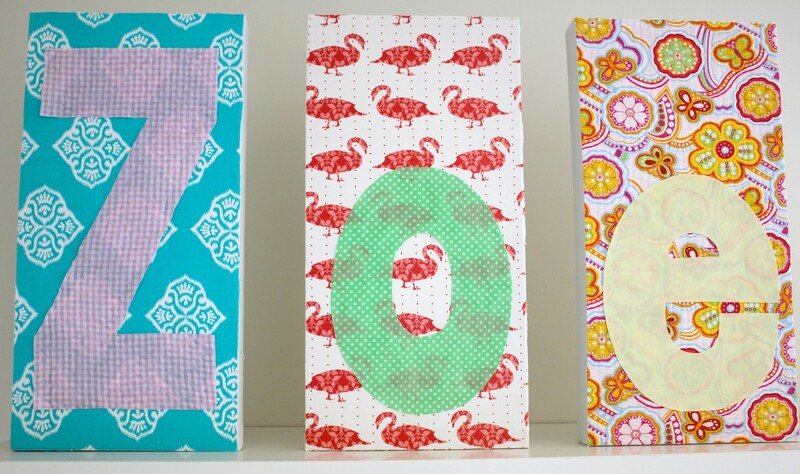 The material-covered letters above are made by Toshi, I bought them from Bambolotta kids shop in Barwon Heads. 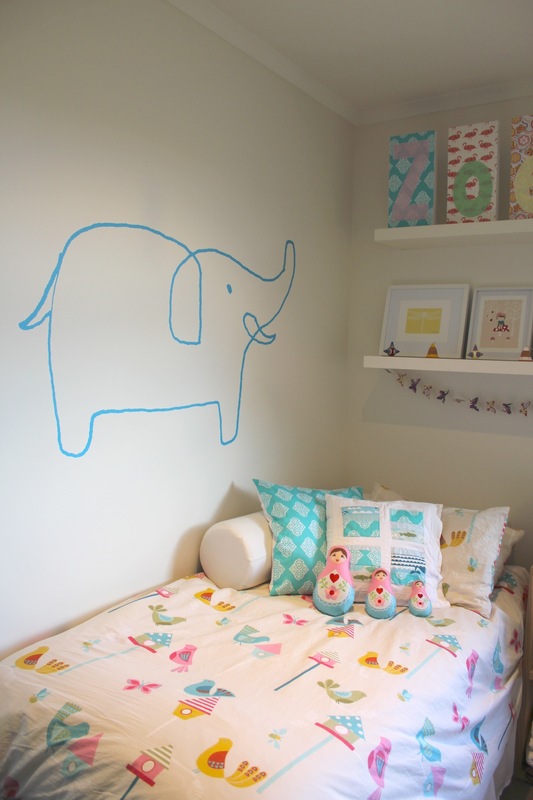 The enormous turquoise elephant I sourced online from The Wall Sticker Co. who (as the name suggests) specialise in wall stickers (the ones you can peel off the wall without leaving any marks). It is one of the gorgeous hand-drawn designs from Jane Reiseger an illustrator who lives and works in Melbourne, Australia. 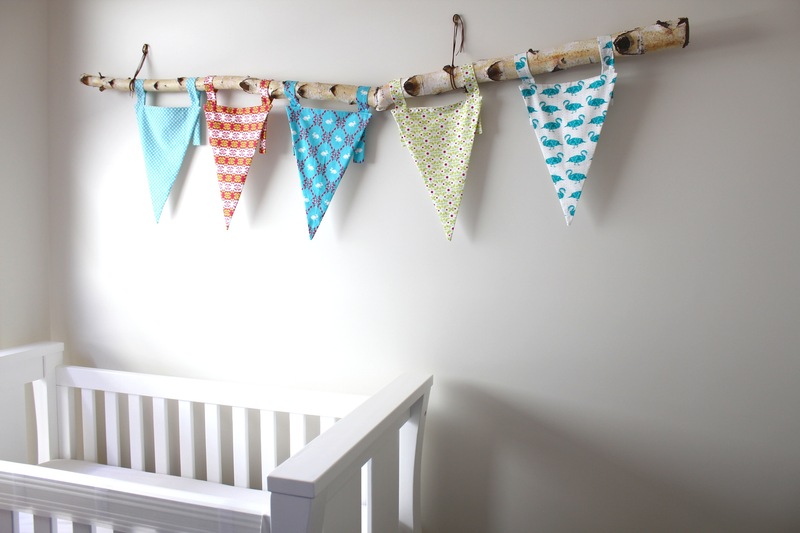 I have already posted about the birch tree bunting that I made, but here is a reminder. 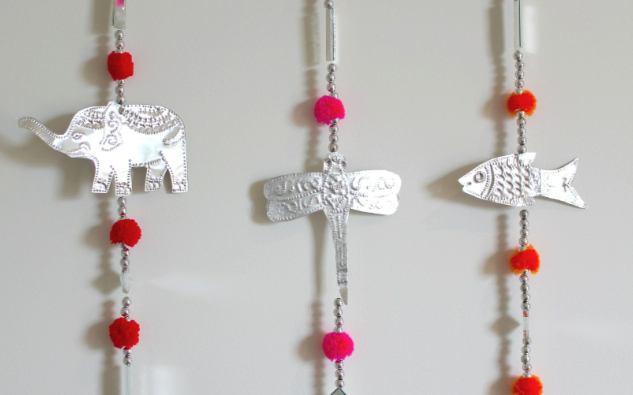 These Indian-style wall hangings featuring elephants, dragonflies and fish I acquired from a pop-up shop in Geelong, Victoria called Popsicle shop. 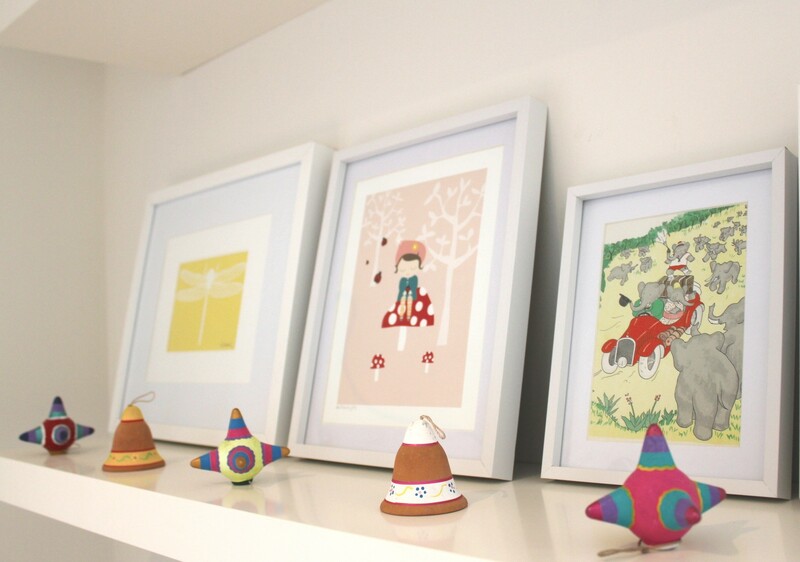 It was full of brightly coloured home-wares & clothes… I had to ‘pop’ in several times before it disappeared. I placed two shelves on the wall (we all know I didn’t actually screw the shelves into the wall myself – my very handy husband did that for me! ), which I have filled with all the things I love… until Zoe is old enough to tell me to get stuffed she doesn’t like any of it, and replaces it with her latest girly obsession! The ceramic ornaments (below) I collected on a trip 10 years ago in Nicaragua. They were used as Christmas decorations on several occasions, but I thought the colours complimented Zoe’s room beautifully. 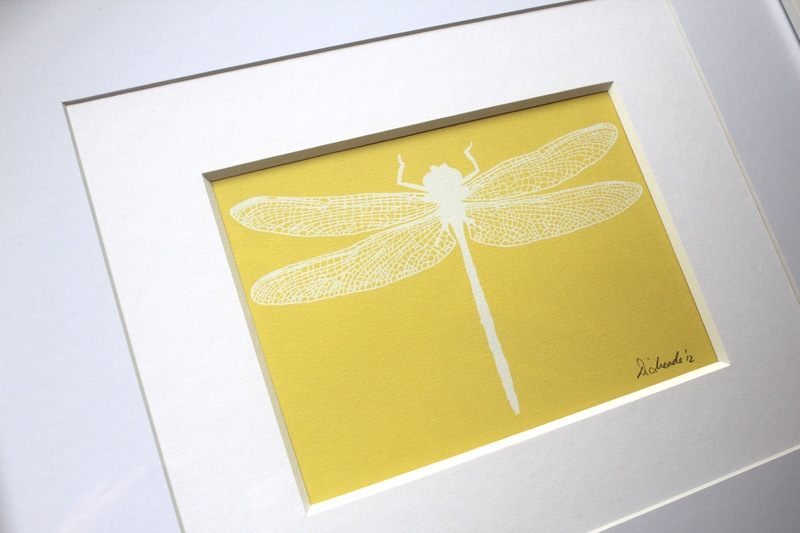 I acquired this dragonfly print below at the ‘Nightjar market’ in Torquay this summer, whilst heavily pregnant. I wanted to bring some local artistry into her room. One of my favourite sites for online purchasing is ‘Hard to find’. I was specifically looking for artwork that featured a lady beetle/bug/bird (so many different names for such a small creature!). 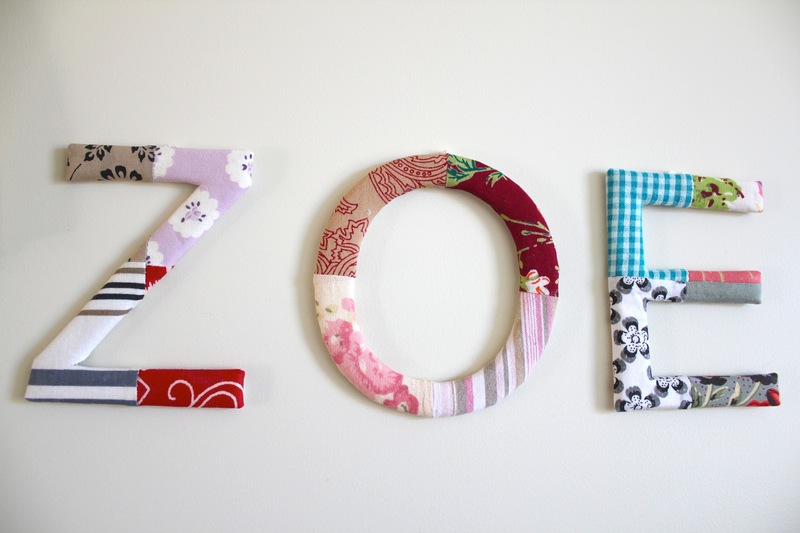 I thought it would be lovely to represent this in Zoe’s room somehow. 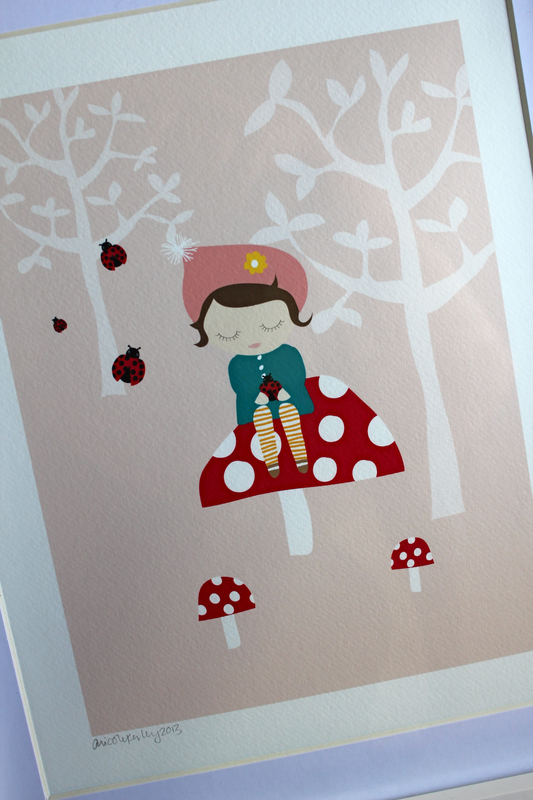 And happened to stumble upon this gorgeous print called “Elsie and the Ladybirds” by Poppy Studio on my favourite website. 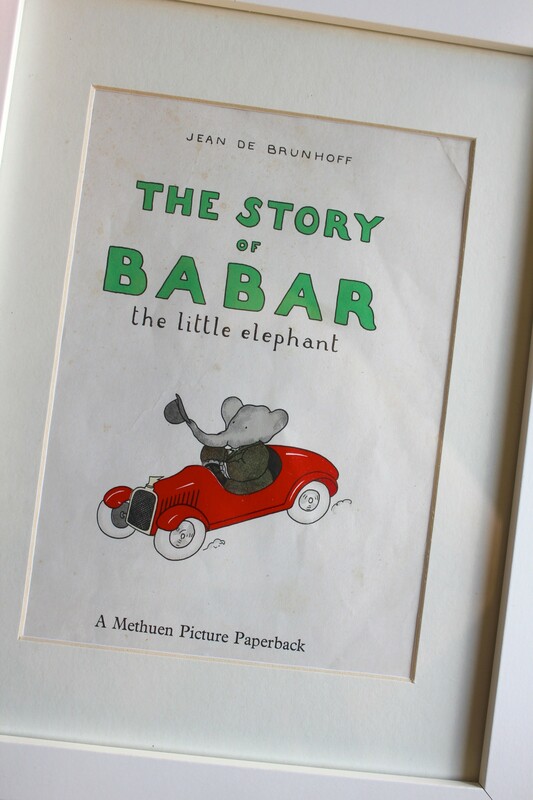 As a child I was enchanted by the story of Babar the Elephant. I couldn’t get enough. It made me feel happy, sad, confused and enlightened all at once. 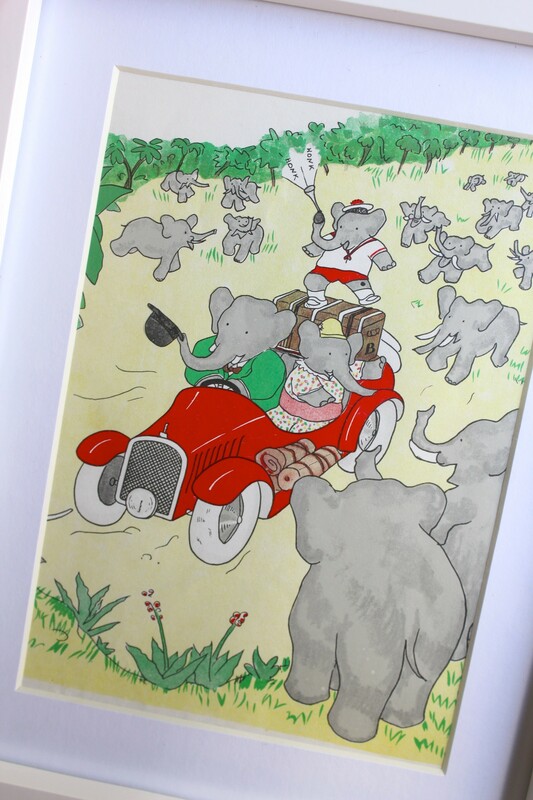 Naturally, I wanted to feature some Babar prints as well. I tried searching online, and they were expensive, and not the images I was after. Instead I went to eBay and bought several second-hand books (about $1.50 for each book! ), and framed selected pages from the books instead! 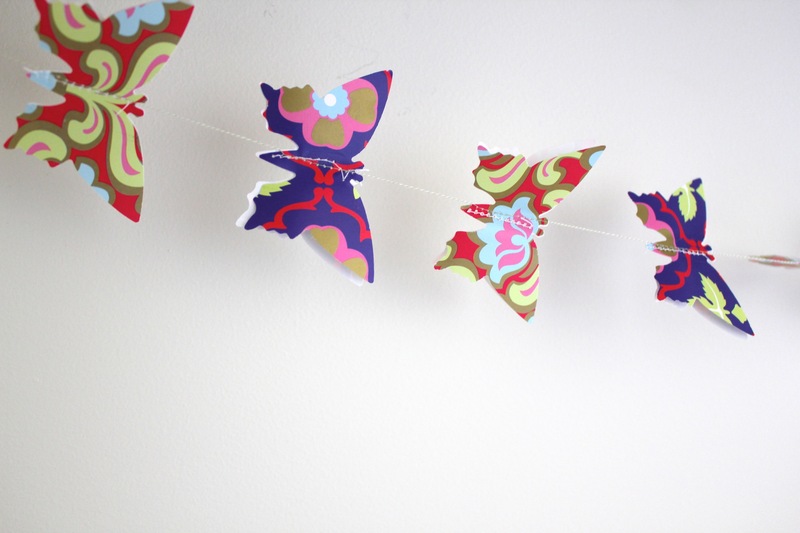 Hanging below the book shelf I reused some paper butterflies I had from Heidi’s first birthday to make a garland…. (details on how to make these can be found here). 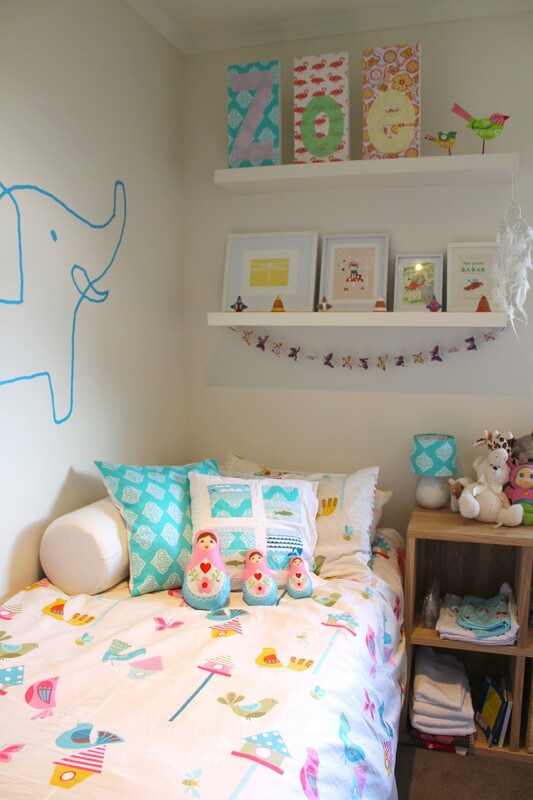 The dominant animal in Zoe’s room is elephants. Whilst I was trying to avoid birds, ’cause Heidi’s room is filled with them… I couldn’t help myself! 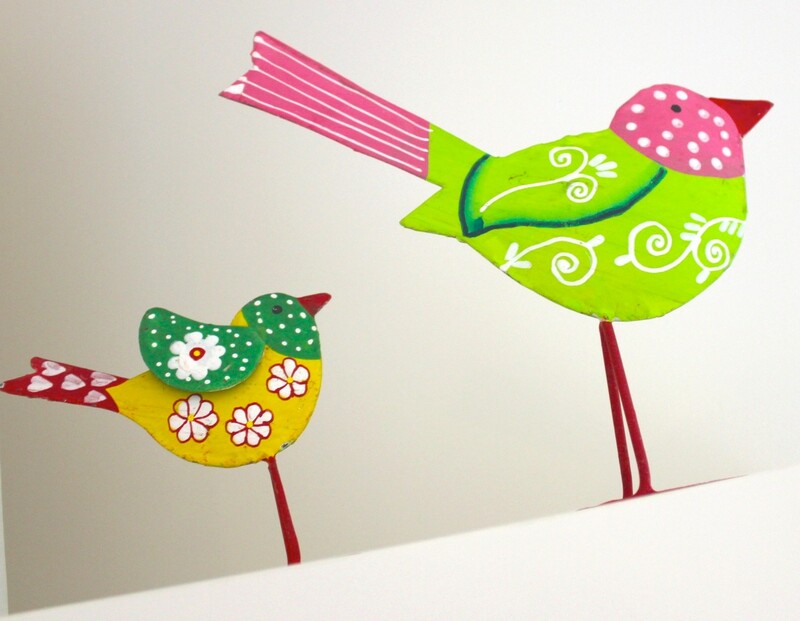 I picked-up these metal, painted birds at a gorgeous shop in Geelong, Victoria called Goose. 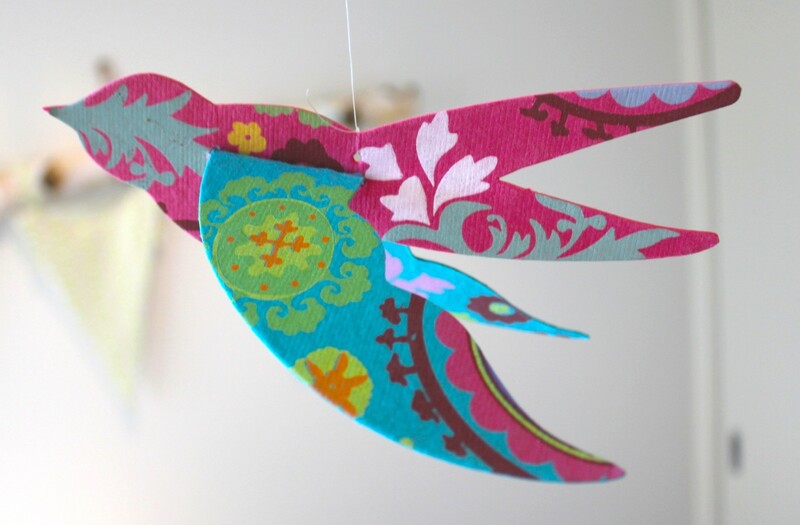 These amazing patterned, paper birds (Christmas decorations actually) I spied in a Torquay homeware shop. 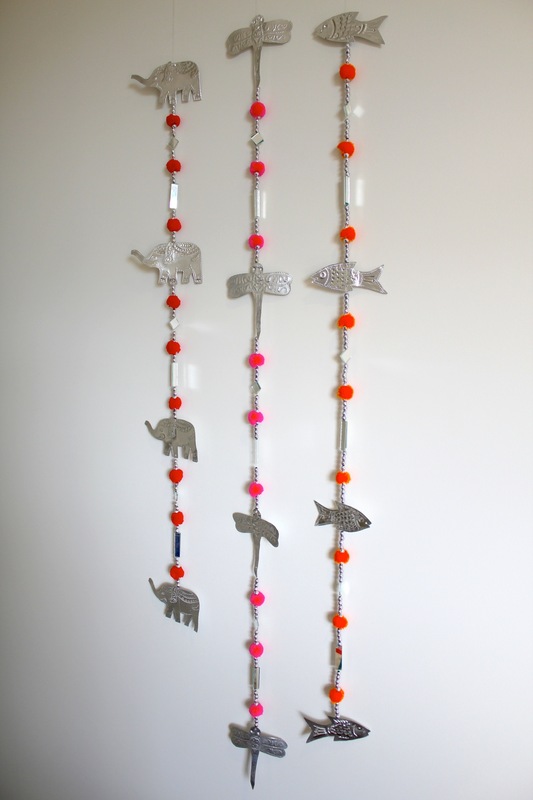 I used six of them to make a mobile to hang from the ceiling. Again providing that splash of turquoise. 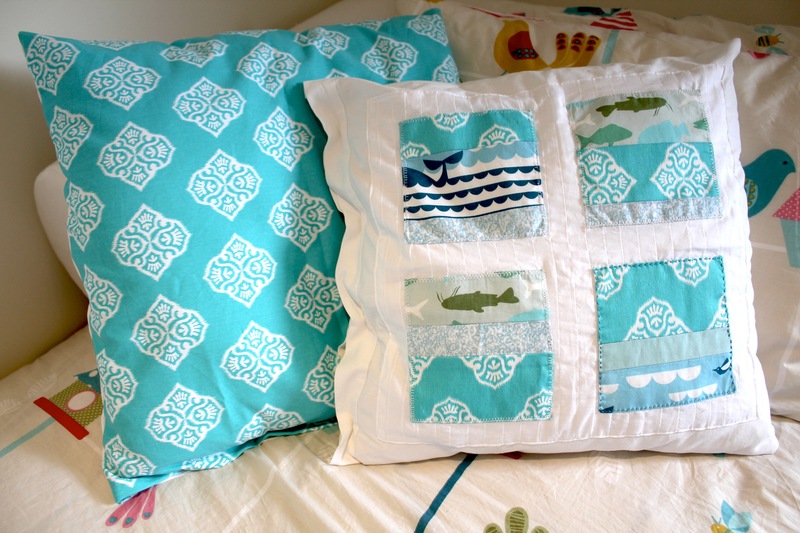 Below are a couple of cushions I made with some turquoise material I had collected. I wanted to add splashes of turquoise wherever I could. 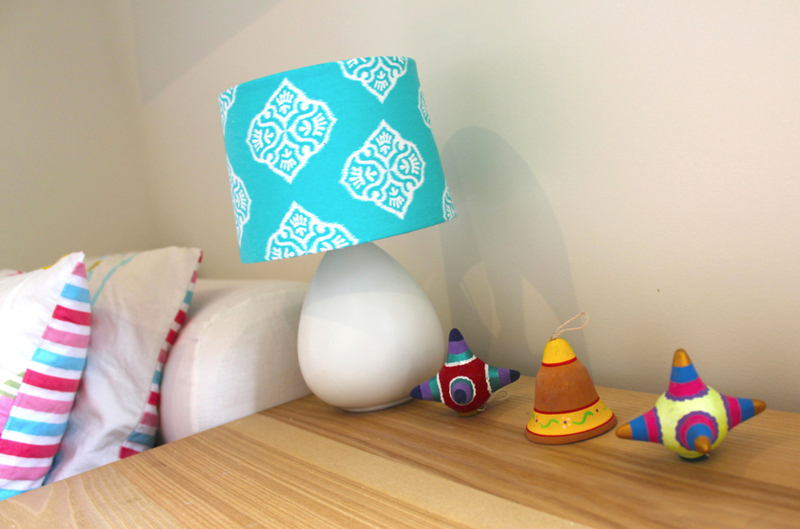 You’ll also notice I covered the lampshade with one of the materials too. 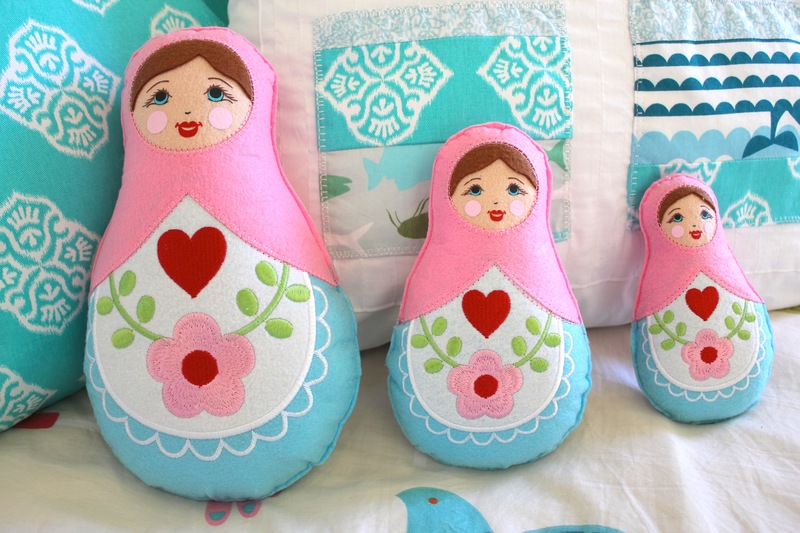 The babushkas below were a gift from a friend. They knew I was going for a turquoise theme, so chose ever-so-well! 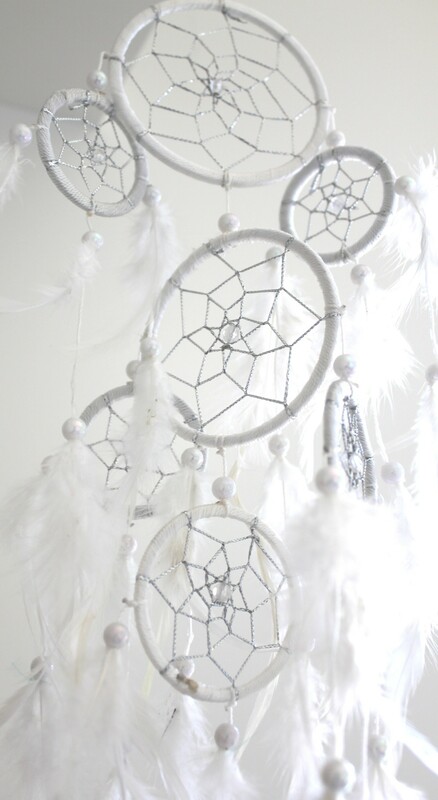 The final touch on the nursery is a beautiful, white dream catcher (another gift from a dear friend) … this will serve a very important role every night Zoe is asleep in her room. Zoe hasn’t actually slept a night in her room yet… that will come. 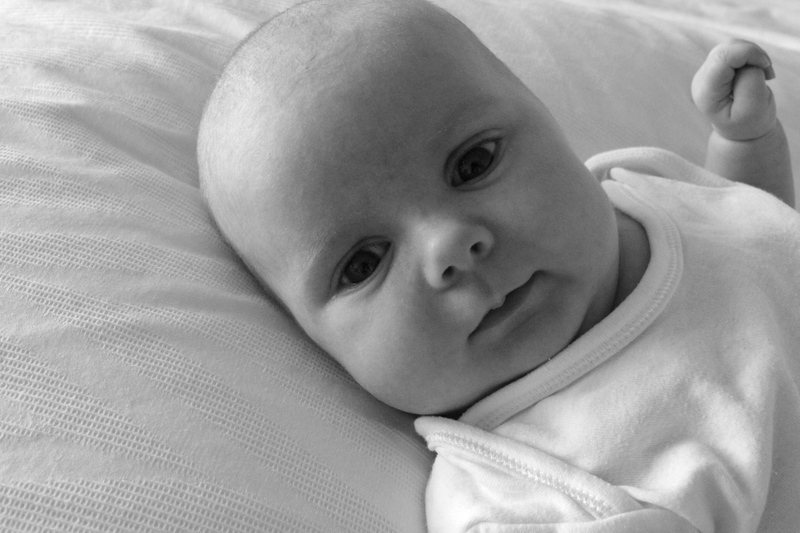 And, when I am ready to put her down there I’m happy that it has the feel and the magic that I was hoping for. It looks absolutely gorgeous. What a satisfying tour! Zoe is a lucky little poppet. Thanks Chris… it’s a labour of love (love of Zoe, and love of creating a feeling within a space). Thanks Tess… You don’t have far to go for the letters!